The connection between causes and effects are the basis of an excellent essay. If have a difficulty finding it, our professional team is always there to help you! Writing about causes and effects helps us clarify the consequences and the roots of certain actions, circumstances, or behavior. A cause and effect essay is based on the explanation of the causes of various things, and what we have as a result of these events - that’s what we call effects. So, writing about causes and effects helps us clarify the consequences and the roots of certain actions, circumstances, or behavior. And it also provides our vision of the world from different perspectives. Cause and effect is a great choice for the people who want to improve their skills not only in writing but logical thinking as well. When used in English classes, this kind of writing teaches how to put the main ideas concisely and organize it following all the grammatical rules. Using cause and effect essay in History classes helps a student to trace reasons of certain historical facts and find out the results. That’s what also teaches how to think critically. Today, there is a tendency of cause and effect essays to become more popular than the traditional five-paragraph essays. The latter was often used in the field of academic writing. There is one main problem with the five paragraph essay. Its patterns create certain boundaries for students to progress through writing more difficult types of papers. A cause and effect essay, in turn, helps students in mastering their language and writing skills making them more natural. Also, it is very helpful in creating logical ties between events. This is the main reason why cause and effect essays have become so popular in academic circles. Frequently, a cause and effect essay requires selecting an incident with a number of results that are already. Some incidents provide with the more information and can make your essay more interesting. If the facts are not strong enough, it will lead to the unclear writing hardly reminding an essay. The more eminent the events that students choose for their paper, the more facts, reasons, and results they’ll have. It’s widely spread to choose some historical events which we know about. For American students, it can be American Civil War. Topics like this make it much easier for a student to make a thesis statement listing all the causes and effects of such a renowned event. Another widespread topic is the effects of the Civil Rights Movement. In such case, a student finds out the background, traces in details all the preconditions, and finally reaches a conclusion and the results of the event. This allows a student find the core for the analysis, having all the instruments such as dates, main events, and trends. A student may explain it in such way: the mid-twentieth century movement was inevitable due to a social crisis and a number of discrimination cases. In the case of the American Civil War, a student can write as follows: growing strain between the Southern and the Northern states was caused by the slavery. The pro-slavery policy of the South with claims of expanding it further over the county was in high contrast with the policy of the Northern states. The possibility of slavery abolishment wasn't an option for the Southern regions. Make a thesis that will contain your topic of the essay in it. A cause-and-effect essay is usually written in the chronological order because it should follow a definite scheme. On the other hand, it’s possible to reverse the chronological order. You can start by describing effects. After that, it is possible to go back to the initial events that cause those effects. No matter what way you choose, you have to write reasonable topic sentences to every paragraph. Besides, each of them has to be supported by vivid details. A topic like the American Civil War presupposes a more general thesis. The main point is the possibility of conflict between two halves of the population of the same country if their views and standpoints are completely different. Then, it comes to a particular case of conflict between the North and the South. Its origin should be sought for much earlier than the War itself. The evidence is vital in this section. Besides, it should be plentiful, diverse, but never controversial. Questions are fundamental when it comes to presenting the effects. The American Civil War results still have certain effect on the USA’s reality. Even today, it’s quite obvious. It has really changed the face of American society. Both Northern and Southern states still have their own views on the future of America and the role of the American Civil War in the country’s history. Differences in political views are still vivid in the USA, and there is no surprise that this situation is a heritage from the American Civil War. Some issues, however, weren’t solved. One of the examples a student can use is increased crime rates. Slaves that were given their freedom didn’t know what to do with it. They had no money, no master, and no work. Many of them have chosen the criminal path. These effects, as well as many others, changed the American reality forever causing conflicts over political issues even to these days. After reading the cause and effect segment, the reader has to abandon this feeling. If you have a problem with finding out the reasons or consequences of the event/fact you’ve chosen it’s better to take a new topic for your essay. Remember that your time is limited and you don’t want to waste any of that trying to develop a wrong topic. #2 Evidence - the more, the better! If you want to create good logical ties in your cause and effect essay, incorporate three or four examples that fully illustrate the whole process. A good essay should be properly backed up with information. It is a well-known fact that seamless transitions from one paragraph to another are hugely important in any type of essays. Unlike a five-paragraph essay, which has to be one-page long, a cause and effect essay doesn’t presuppose to have very strict and solid length rules. If you weren’t assigned to stick to a particular volume, you can make your cause and effect essay twice as long (or even longer). Do not include a lot of incoherent details in your cause and effect essays. If any details don't relate to the topic, they can mislead the reader from the point you want to make. Clearness and simplicity are of the most importance. Facts are needed to make the cause and effect connection more vivid as it is the essence of this type of essay. There are several types of signal words which can be used in such an essay. They are words expressing cause and effect (because, thus, as a result, consequently, etc.). Another group of words expresses various degrees of certainty. These are words like perhaps, certainly, possibly, etc. And finally, there is a group words showing the levels of importance, such as first, last, above all, equally, initially and others. 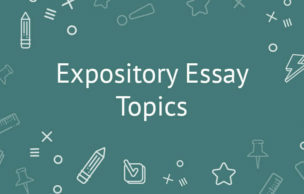 Our team of essay writers has already completed hundreds of cause and effect essays, as well as plenty of other papers. We definitely know how to write a top-notch essay, article or research paper. If you don't know how to do it, or just don't have enough time, we can help you succeed with your studies!